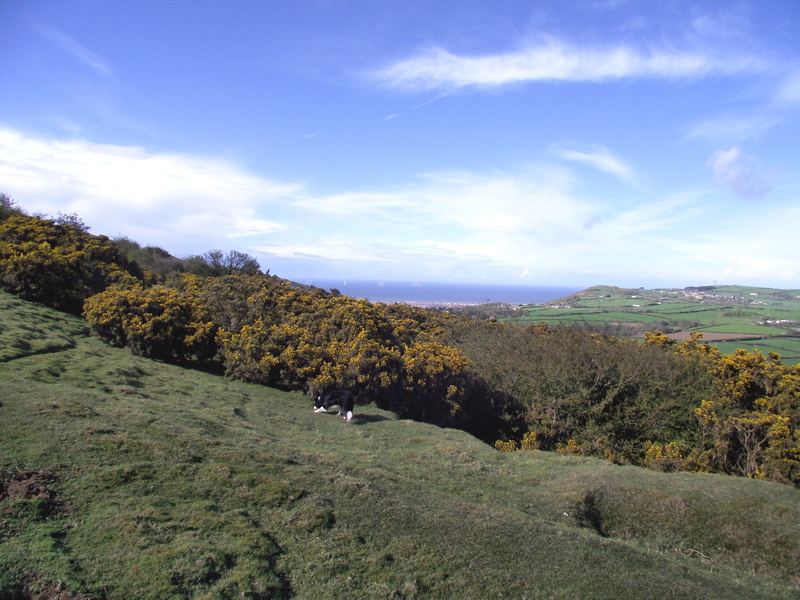 Only a madman would buy a Welsh hill-farm on a whim, to become a sheep farmer without having any previous farming experience – that madman was called Thomas Firbank, and his fascinating book “I bought a mountain” was published in 1940. One reason that the book remains compulsive reading is that Firbank wrote about real people and real places, and it is still possible to identify the locations he wrote about. 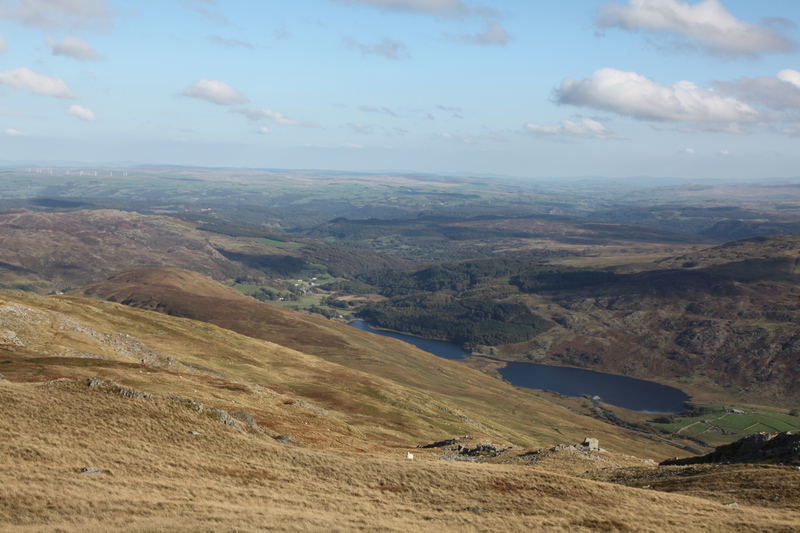 Firbank was 21 when he bought Dyffryn Mymbyr farmhouse near Capel Curig, and 300 acres of rough grazing running up to Glyder Fach. Although sometimes slightly patronising in tone, he paints a vivid picture of farming in North Wales just before the Second World War. 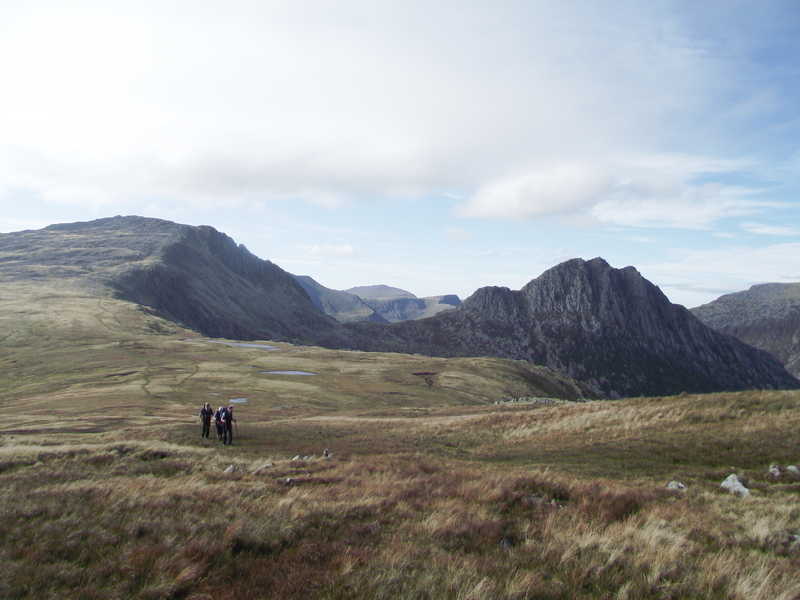 The most interesting chapter for most hill-walkers will be his account of the setting of a record for the Welsh 3000 ft peaks of 8 hours 25 minutes, a time that many would still find hard to beat. We haven’t actually bought a mountain, but we have bought a house nestling below a Welsh mountain. Well ok, it isn’t really a mountain at a mere 265 metres (870 ft) height, but from some angles it starts to look fairly mountainous. 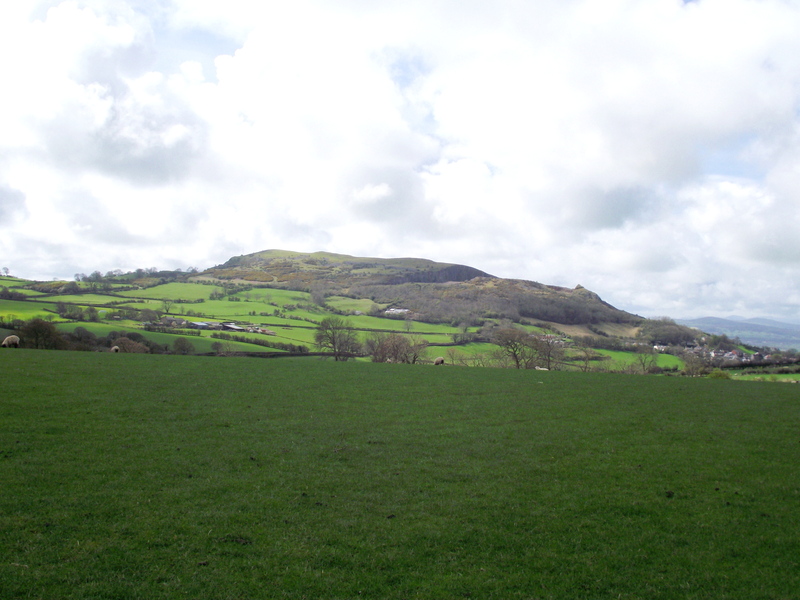 The hill is called Y Foel which means ‘The Bare Hill’. 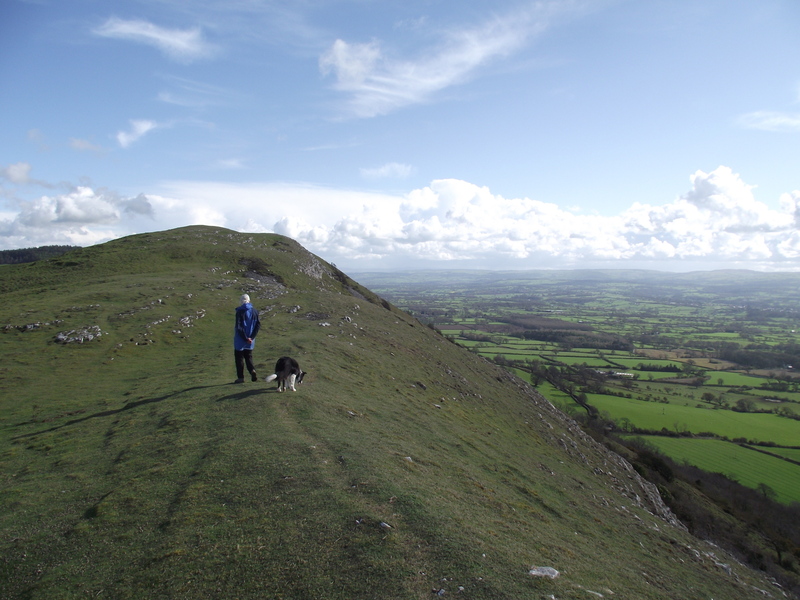 The hill is at the most northern end of the Clwydian Range, with Offa’s Dyke running just a few hundred metres away. 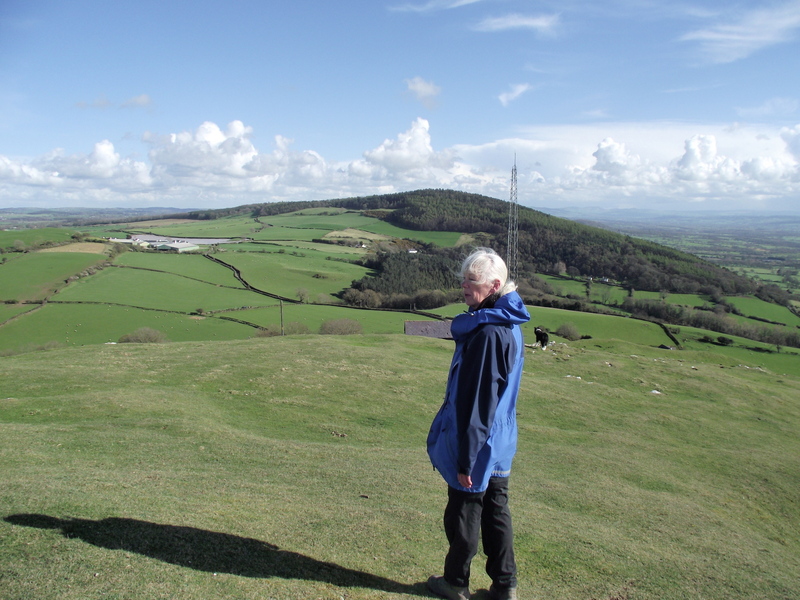 Y Foel has a story to tell. 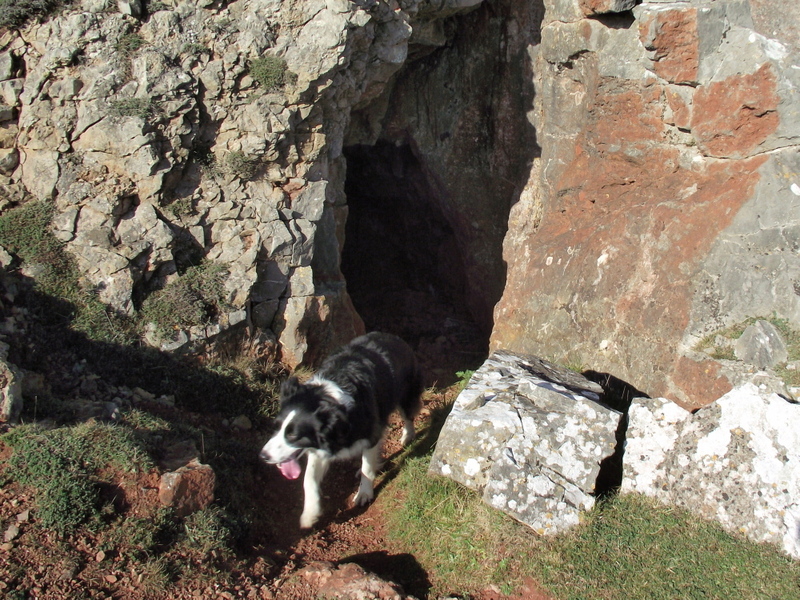 Stone Age hunters settled here and kept domestic animals, leaving behind evidence for modern archaeologists. 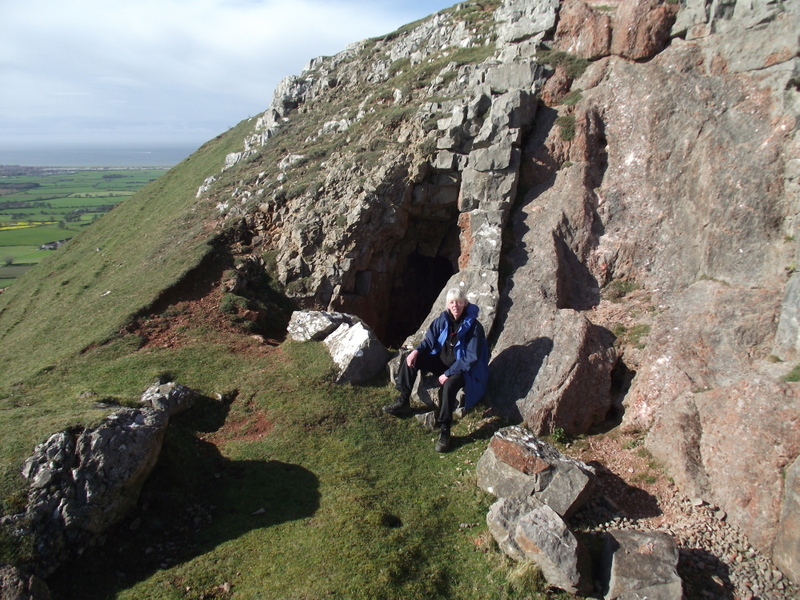 Their descendents were the Deceangli, an Iron Age tribe that was inhabiting North Wales in about 800BC, when the hillfort was constructed. 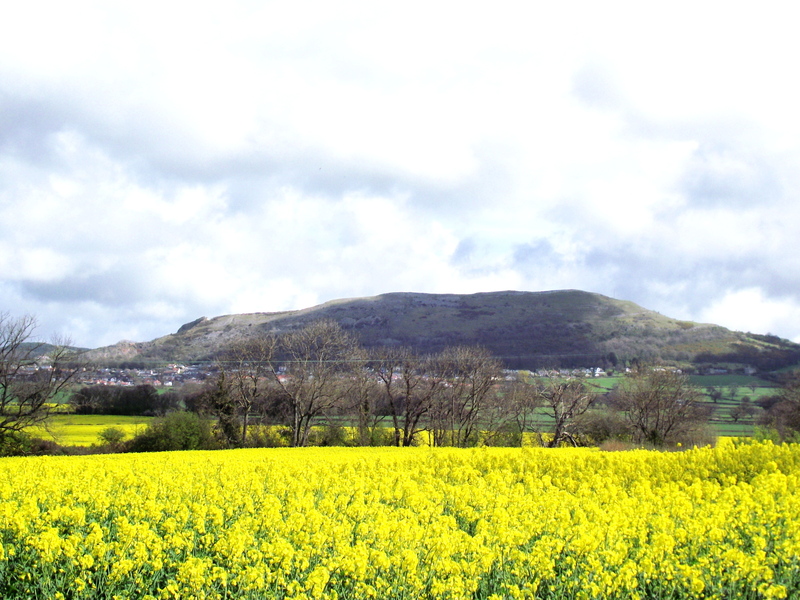 They used the steep escarpments of the Clwydian Hills as natural castles, and Y Foel was the most northerly of their defences, where they constructed the hillfort called Moel Hirraddug. When the Romans invaded North Wales, the Deceangli must have caused them a good amount of grief, as they never became ‘Romanised’ as did other tribes. So, it looks like we have had some feisty neighbours in the past. 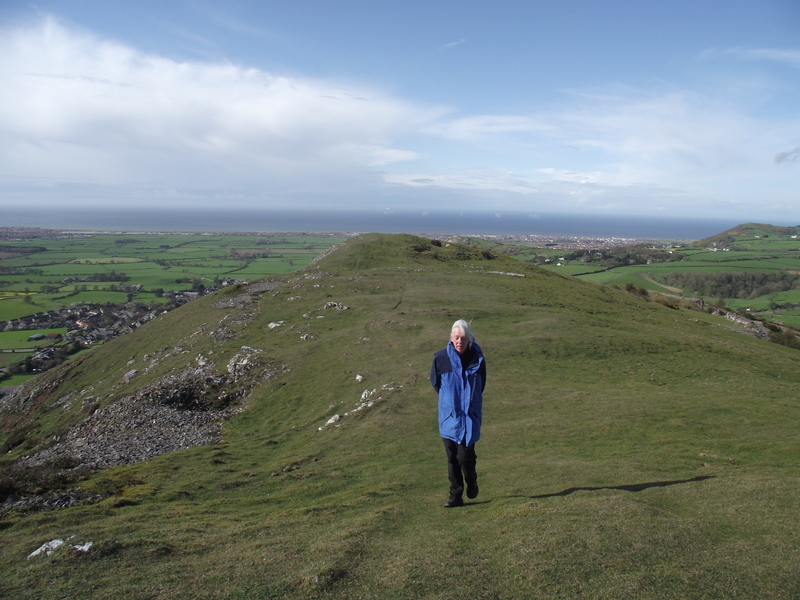 On our last trip over to the new house, we decided to take a walk over the hillfort to see what sort of a place the old neighbours used to live in. 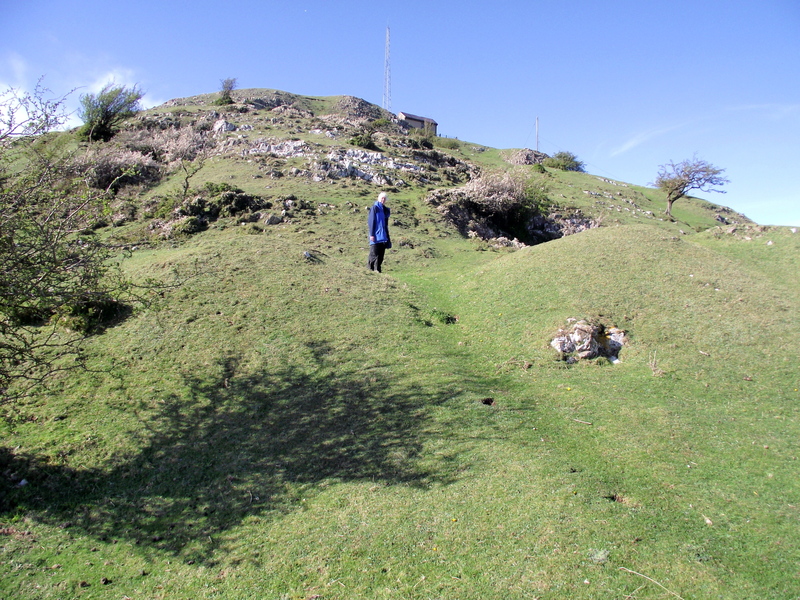 The west side of the hill is a steep escarpment that is not far short of vertical – you certainly wouldn’t run up it with defenders throwing rocks at you. 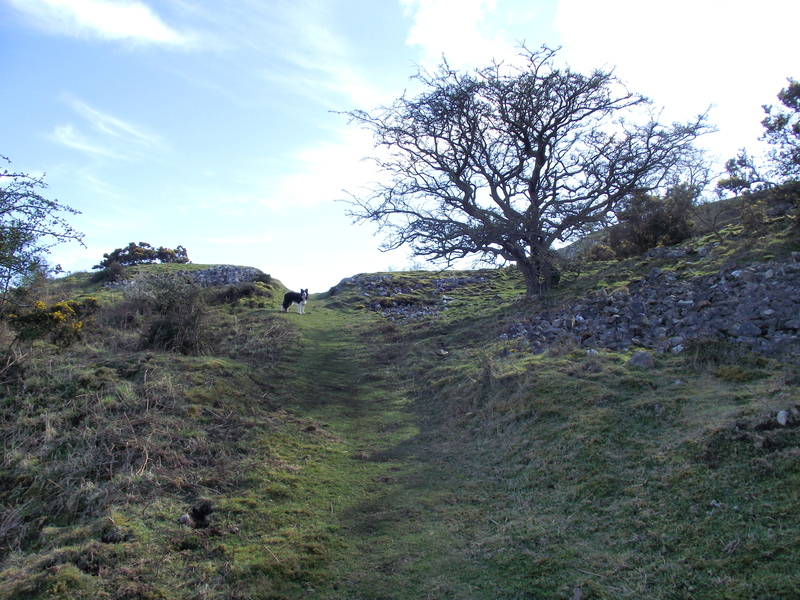 On the easier east side, a series of ramparts was built that was six metres wide in places – if you weren’t invited, you didn’t get in! 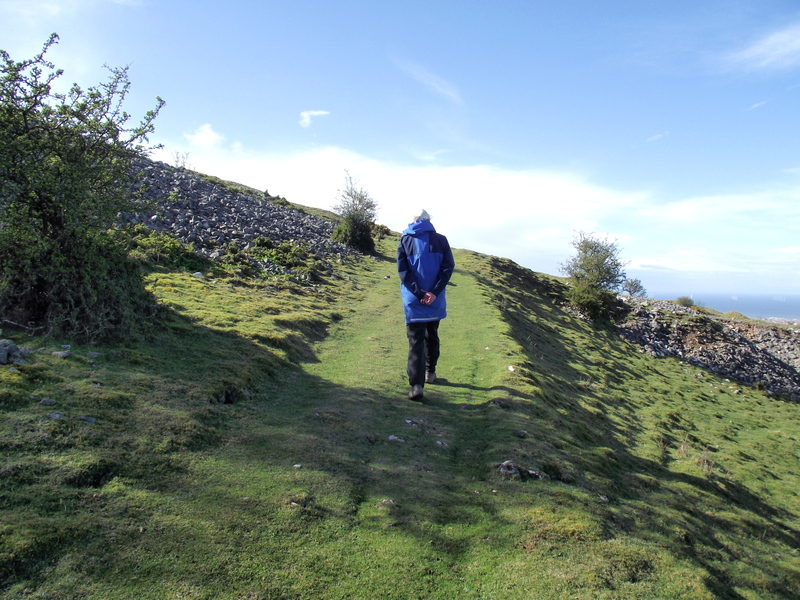 The ridge continues rising gently to the summit of Y Foel with the cliffs of the western escarpment plunging down to the Vale of Clwyd on our right as we walked. It wasn’t long before we were on a valley path heading back towards the village. The whole outing took about the same time we allocate to the daily ‘dog walk’, but the dog walks in Shipley just don’t have the same views – even ‘Mist seemed’ impressed. p.s. At the time of posting this we have two houses, one in Yorkshire and one in North Wales. Hopefully this situation will resolve to just one house in the near future – it’s a two hour commute from one to the other! This entry was posted in 5. 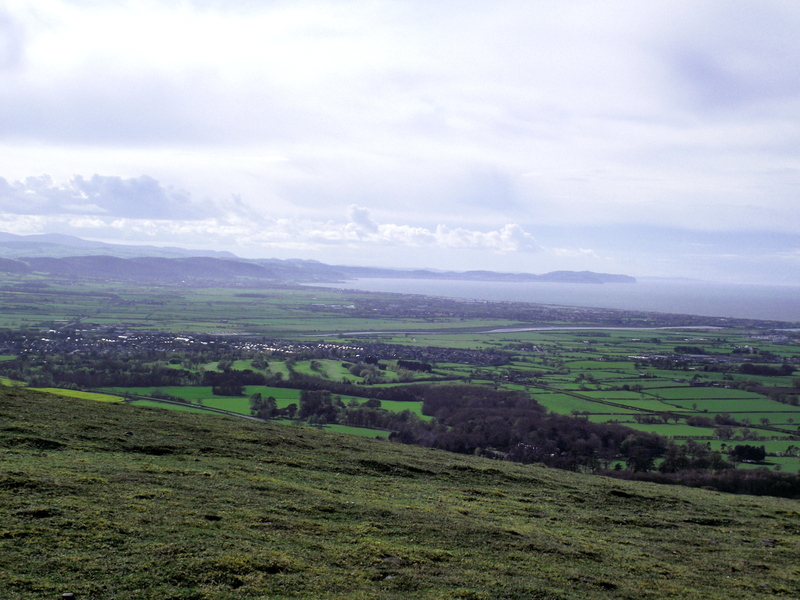 North Wales and tagged Clwydian Hills, hillwalking, photography, Snowdonia. Bookmark the permalink. Thanks for that – there was a haze in the distance that was a little challenging, but great light conditions. Hahaha… Thanks for that, or ‘diolch yn fawr’ as I should be saying! We’re looking forward to getting set up properly in Wales, but will still be based in Shipley until the house sale here is finalised. Ho hum, worse places to be, with both The Dales and The Peak so near. 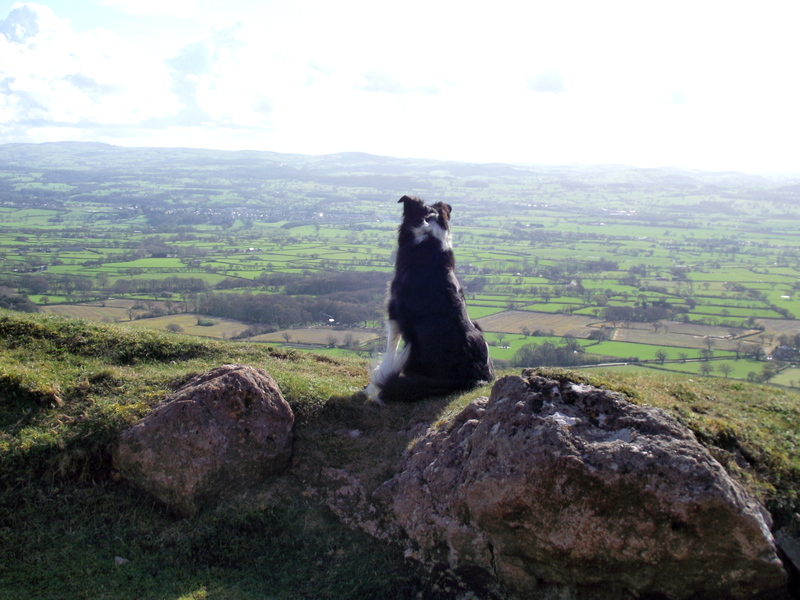 I do a lot of my training runs on the Clwyds so might bump into you one day! All the best in your new house. Haha, not quite, I’m better at long and slow, with lots of walking! Bet the dog loves it! Well jealous! 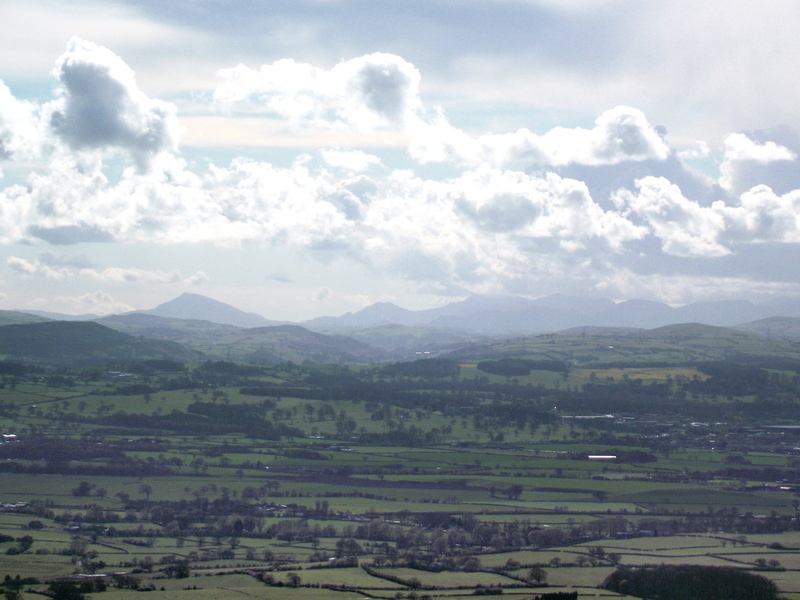 I’m looking forward to making the final move there – Clwydian Hills to get to know, and Snowdonia less than an hour away! Still time for some Dales?Peak District wandering before we go, and hopefully a Scottish trip if we can get sorted before the midges arrive, otherwise that’s on hold until Autumn. I can see Moel Hiraddug (i prefer that name) from where i live.. not been up though. Its a very distincive looking hill..
Hi Matt, yes two and a half years on from writing that post we also call it Moel Hiraddug now! 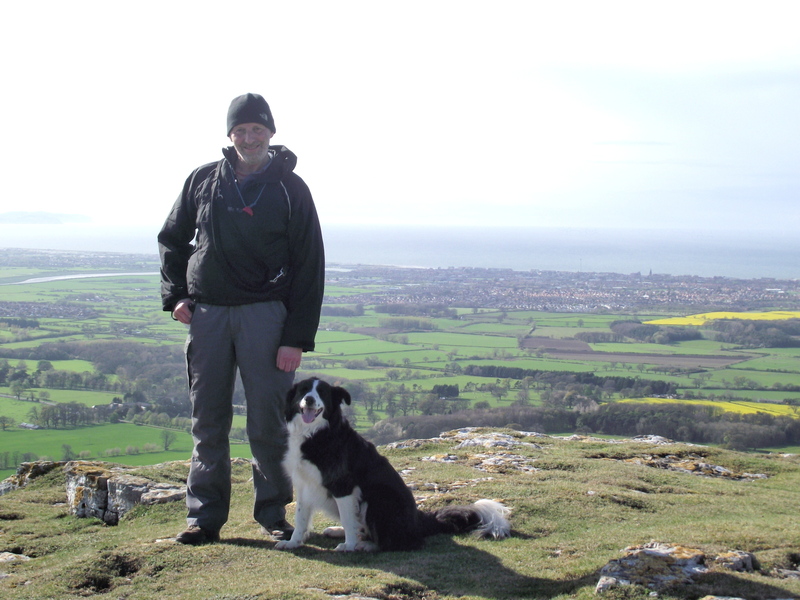 It’s not a super-long walk, but on a good days the views are superb! I`ll drag me dad up soon!